In 1968 HAiR changed a generation. want to relive the experience. In 1968 HAiR the Musical opened on Broadway. 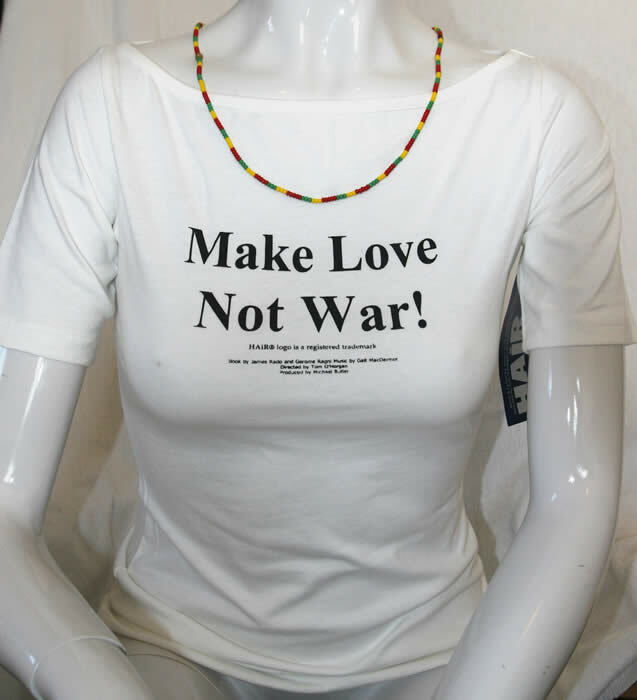 The double headed image was created and became an iconic artwork of the 60's representing Peace, Love and Freedom. This is the definitive artwork recognized all over the world from The Musical HAiR. 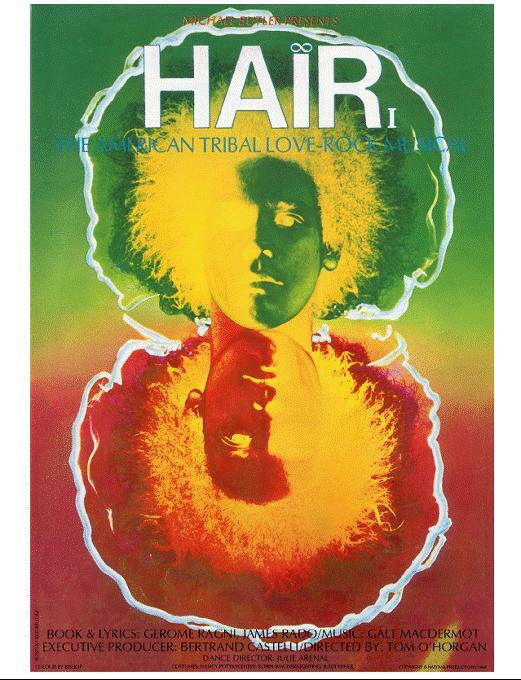 The limited edition lithograph of the original “HAiR" Poster (Biltmore Theater Card) circa 1968 has been re-produced under the guidance of "The HAiR Archives. The lithograph measures 14" x 20" unframed. HAiR Logo is copyright and trademarked by Natoma Productions/Intrafi Inc. In 1968 HAiR the Musical opened on Broadway. 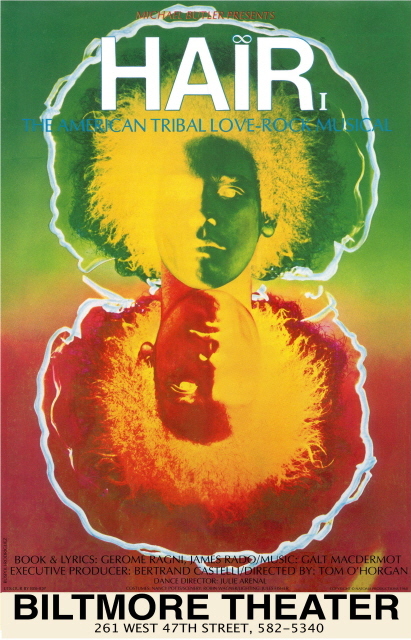 The double headed image was created and became an iconic artwork of the 60's representing Peace, Love and Freedom. has been re-produced under the guidance of "The HAiR Archives. The lithograph measures 26" x 39 1/2" unframed. passed out love beads to all the cast and crew members of HAiR. The pony beads are yellow, green, and red. Pony beads were used by the early American Indians to use in commerce. We have recreated the exact same beads for you to share the love with your friends and family. The colors represent brotherly love. The colors and shapes of the beads may chain due to inconsitancy in the manufacturing of the beads. Copyright © 60's art from HAiR the Musical. All Rights Reserved.